Bikram Yoga is the original hot yoga. It is a demanding, 26 pose series. It is done in a heated room to warm up your whole body. This allows you to work deep into your muscles, tendons and ligaments, and to change your body from the inside out. Bikram Yoga is a system that can reduce the symptoms of many chronic diseases, and is an excellent preventive activity for parts of the body that are healthy. The class is designed for all levels: first-time students and experienced practitioners alike. Bikram Yoga increases flexibility, improves circulation and reduces stress, to provide an infinite number of benefits. The more you put into the class, the more you will get out of it. It is a wonderful journey. Be patient with yourself and enjoy! What if I'm not flexible? 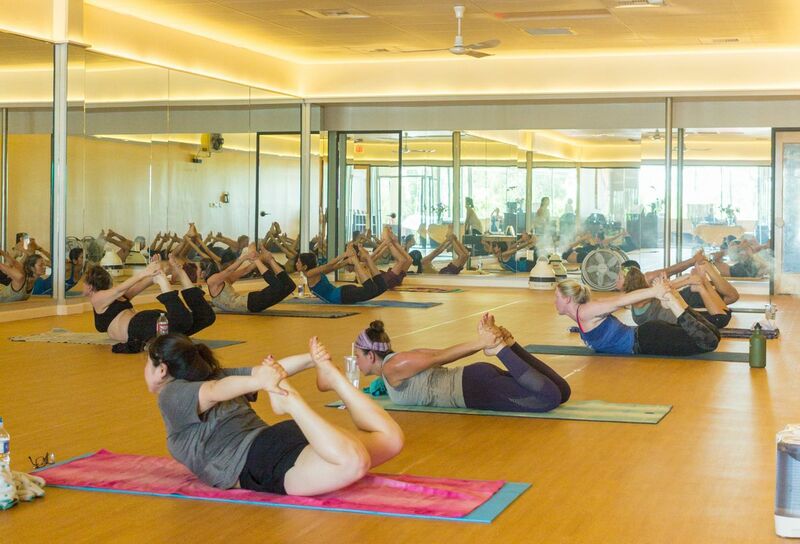 This is the most common misconception that prevents people from coming to a yoga class. But yoga is not about how flexible you are. It is about stretching your body and spine in all directions. All that matters is that you try the right way, go to your personal "edge," and you will get 100% of the benefit! Is it a cardiovascular workout and can I lose weight? 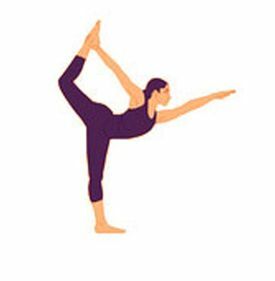 No matter what your level of fitness, you will find a Bikram Yoga class very challenging. Each posture combines flexibility, strength, and balance to work your whole body from your bones to your skin. With persistence, patience, and dedication, you can lose inches, and develop muscle tone and strength that might never come from other forms of exercise. There are unlimited benefits to Bikram Yoga. It reduces stress, increases blood circulation, and improves strength and flexibility. Regular practice (at least three times per week) can reduce the symptoms of many chronic diseases (e.g., arthritis and thyroid disorders). It also promotes relaxation. The room is intentionally heated to warm your muscles and allows you to work deeper and safely . The heat also heals and helps prevent injuries. It also promotes sweating, which flushes toxins from your body. Teaches you to use 100 percent of your lungs. Most people use only a small percentage of their lung capacity, never allowing the lungs to reach the maximum expansion that nature intended. Expands the lungs and increases circulation, elevating your core temperature and preparing the muscles for exercise. Firms and trims the waistline, hips, abdomen, buttocks, and thighs. Improves and strengthens every muscle in the central part of the body, especially the abdomen. Increases flexibility of the spine, corrects bad posture, promotes proper kidney function, and helps to cure enlargement of the liver and spleen, dyspepsia, and constipation. Increases flexibility and strength of the rectus abdominis, latisimus dorsi, oblique, deltoid, and trapezius muscles. Firms and trims the waistline, hips, abdomen, buttocks, and thighs. Increases the flexibility of the spine as well as the glutes, hamstrings, calves. Greatly improves blood circulation to the legs and brain, and strengthens the rectus abdominis, gluteus maximus, oblique, deltoid and trapezius muscles. Strengthens and firms all muscles of upper and lower legs, and hips, also improves hip mobility. Strengthens and tones the upper arms, shoulders and abdomen. Increases blood circulation in the knees and ankle joints and relieves rheumatism, arthritis, and gout in the legs. Helps to cure slipped disc’s and lumbago in the lower spine. Supplies fresh blood to the sexual organs and the kidneys, increasing sexual power and control. Firms the calves, thighs, hips, abdomen, and upper arms. Improves the flexibility of the hip, knee, and ankle joints and strengthens the latisimus dorsi, trapezius, and deltoid muscles. Improves mental determination and develops balance Tightens abdominal and thigh muscles Tightens arms, hips, and buttocks. Improves posture, while increasing elasticity of the rib cage and the lungs Improves flexibility and strength. of the spine, legs, hips and shoulders. Perfects control and balance. Firms hips, buttocks, and upper thighs, as well as providing many of the same benefits for the legs as in Standing Head to Knee. Increases circulation and strengthens the cardiovascular system, this is an excellent exercise for poor posture. Improves flexlibility, strength, and muscle tone of shoulders, upper arms, spine, and hip joints. Improves and helps alleviate sciatica by stretching the sciatic nerves in the muscles of the back of the legs. Helps the functioning of most of the internal organs, especially the small and large intestine. Works almost every muscles, joint, tendon, and internal organ in the body. Revitalizes nerves, veins, and tissues. Helps lumbago and rheumatism of the lower spine by flexing and strengthening the last five vertebrae. Improves posture. 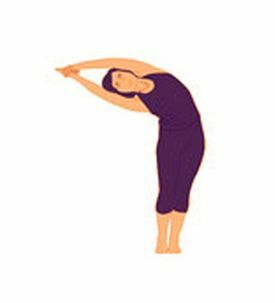 Most important pose to increase the strength and flexibility of the hip and side of the torso. Firms the thighs and hips, slims the waistline, and improves the deltoid, trapezius, scapula, and latisimus muscles. Many of the same benefits as Hands to Feet Pose. Helps develop concentration, patience, and determination. Improves balance. Tightens abdominal and thigh muscles. Improves hamstring and hip flexibility. Strengthens all the leg muscles, in addition to the deltoid, trapezius, latisimus dorsi, scapula, and biceps. Improves posture patience and balance. Increases the flexibility of the ankles, knees, and hip joints. By strengthening the internal oblique muscles, it helps prevent hernia. Develops excellent balance, concentration and patience. Helps to cure gout and rheumatism of the knees, ankles, and feet. Helps cure hemorrhoid problems. Dead body pose returns blood circulation to normal. Teaches complete relaxation. Alleviates and reduces flatulence, the source of most chronic abdominal discomforts. Improves the flexibility of the hip joints and firms the abdomen, thighs, and hips. Strengthens the abdomen and hip flexors. Increases flexibility of the spine. Increases spinal strength and flexibility, helps prevent lower back pain, and helps cure lumbago, rheumatism and arthritis of the spine. 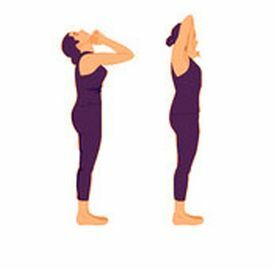 Improves menstrual problems (irregularity, cramps, backache) Cures loss of appetite Helps Improve posture Improves the functioning of the liver and spleen.S Strengthens the deltoids, trapezius and triceps. 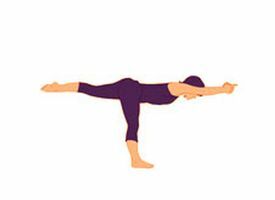 Strengthens the upper back, arms, fingers, hamstrings and calves. Helps back or spinal problems such as gout, slipped disc, and sciatica. Helps tennis elbow and is also excellent for toning the buttocks and hip rotators. Improves the functioning of the large and small intestines, the liver, kidneys, and spleen. Helps straighten rounded spines, relieves backaches, and improves kyphotic upper body posture (rounded shoulders) opening the rib cage and strengthening the upper back, permitting maximum expansion of the lungs and increased oxygen intake. Revitalizes all spinal nerves by increasing the circulation of the spine. Improves digestion and strengthens abdominal muscles, upper arms, thighs and hips. Helps sciatica, gout and rheumatism in the legs. Strengthens and improves flexibility of lower spine, hip flexors, quadriceps, knees and ankle joints. Provides maximum relaxation. Helps indigestion and stretches the lower part of the lungs, increasing blood circulation to the brain. Firms the abdomen and thighs. Increases the flexibility of hip joints, scapula, deltoids, triceps, and latisimus dorsi muscles. 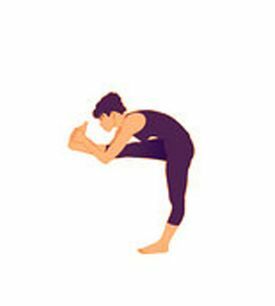 Stretches the abdominal organs to the maximum and helps constipation. Stretches the throat, thyroid gland, and parathyroid. It opens a narrow rib cage to give more space to the lungs. Because it produces maximum compression of the spine, it improves the flexibility of the neck and spine and relieves backache. Firms and slims the abdomen and the waistline. Produces the opposite effect of the Camel; as a result, it stretches the spine to permit the nervous system to receive proper nutrition. Maintains the mobility and elasticity of the spine and back muscles. Improves digestion and helps sinus problems, and chronic tonsillitis Wonderful effect on thyroid and parathyroid glands. Improves the flexibility of the scapula and the trapezius muscles. Helps to balance blood sugar levels. Improves the flexibility of the sciatic nerves, ankles, knees, and hip joints. Improves digestion. Enhances the proper function of the kidneys. Expands the solar plexus. Relieves chronic diarrhea by improving digestion. Increases the flexibility of the trapezius, deltoid, rectus femoris, and biceps muscles, as well as the sciatic nerves, tendons, hip joints, and last five major vertebrae of the spine. The only exercise that twists the spine from top to bottom at the same time. As a result, it increases circulation and nutrition to spinal nerves, veins, and tissues, and improves spinal elasticity and flexibility of the hip joints. Helps lumbago and rheumatism of the spine. Improves digestion, removes flatulence from the intestines. Firms the abdomen, thighs and buttocks. The last breathing exercise strengthens all the abdominal organs and trims the waistline. Exhales unexpelled toxings from the body. Cools the body. Completes the practice. Increases circulation.